American tennis legend John McEnroe has issued Australian star Nick Kyrgios a grim warning if he doesn't improve his conduct on the court. Kyrgios has often been compared to the enigmatic Australian and as a result the two have struck up a friendship, but McEnroe admitted that the Australian youngster needed to improve his behaviour. "The difference between Nick and I at the moment is I tried all the time," McEnroe told 60 Minutes. "He doesn't for whatever reason. I'm not Sigmund Freud. I wish I was 'cause I like Nick. "He's going to run himself out of the game at this point, which I don't want to see. "But that's what's going to happen. It's as clear as day." Kyrgios' bad behaviour on the court has enraged not only Australian tennis fans, but fans all over the world who remain frustrated due to the Australian's immense level of talent. McEnroe, a five-time Wimbledon winner, agreed with the masses, calling Kyrgios the "most talented tennis player in 10 years". 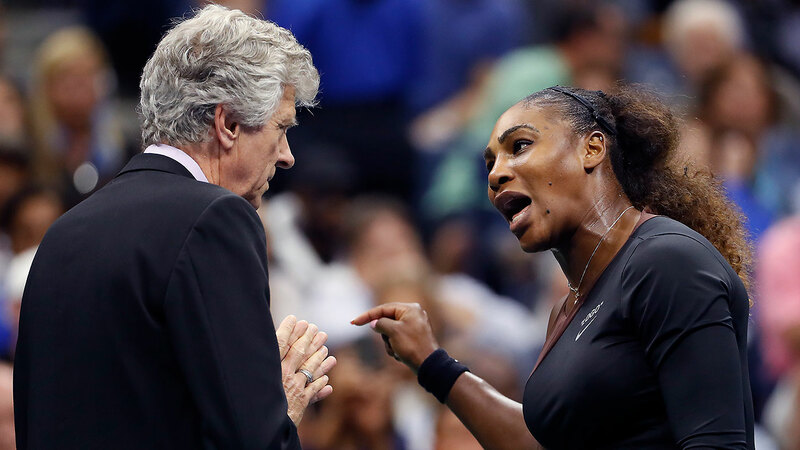 The 59-year-old also discussed US champion Serena Williams' infamous US open outburst against Naomi Osaka, and suggested that Williams' actions will not impact the future of the sport. "Look at the world that we live in and you're going to sit there and tell me what Serena Williams did on the court is comparable to the insanity that we're living in right now?" McEnroe said. "I mean, come on. Give me a break. "She obviously was getting her derriere kicked (but) I didn't think it was that extraordinary."